Agricamp Picobello is situated in the municipality of Montelparo. 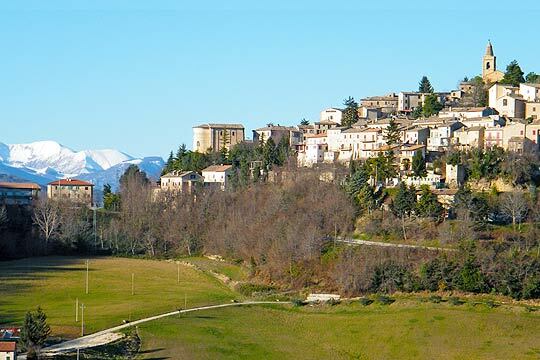 This ancient small town with less than 900 inhabitants is perched on a hilltop from where one has a spectacular view of the rolling hills of Le Marche and the mountains of the Monti Sibillini National Park. Bicycle Museum: The museum has many beautifully restored and presented bicycles. See how the knife grinder, the tailor, the cobbler and many other craftsmen used their bicycles as mobile workshops. Herb workshop: How to make your own cosmetics or medicine; a workshop at the organic farm ‘Indaco Foods’ (our neighbours). You’ll start with a tour on the farm and after that the workshops begins. You’re going to make 3 different product based on organic grow herbs. The workshops are planned during the season of 2016 starting in June. Catering: There are two bars in the village where you can enjoy refreshments, a cup of genuine and always good cappuccino or espresso and where the term “slow life” was invented centuries ago. Square: At the end of the main street there is a beautiful large “piazza”. From here you can enjoy an unrestricted view of the Apennines, more specifically: the Monti Sibillini National Park. On a clear day you can see the Corno Grande, at 2912 meters, the highest mountain of the Apennines and easily recognizable by its distinctive shape. 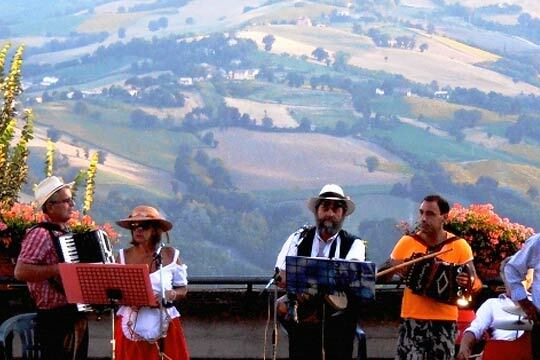 In the summer months, July and August, the piazza is often “the place to be” during village festivals. Churches: Montelparo has 5 beautiful old churches. They are well worth a visit and every church is a “gem” in itself. Summer Festivals: Village festivals are organized regularly during the summer months. 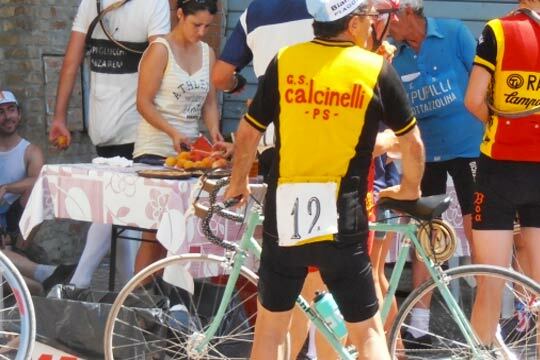 There is the classic cycle race, the ‘sagra della polenta’ and ‘pizza in piazza’. A special event and highly recommended is the blues evening in the courtyard of the old monastery. As we all sit down together to eat we can enjoy listening to some excellent and original blues music. Agricamp Picobello is a sponsor of various festivals. Horseback riding: A short distance away from Agricamp Picobello is a riding centre where, under expert guidance, rideouts can be arranged. A great way to discover the local country side. Tennis: Tennis players can book a court nearby to show off their talents. We are happy to arrange it for you. Dining Out: There are many small restaurants, osterias and trattorias which offer special Picobello menus. Great food and good wine for a fixed price. We will book you a table and all you have to do is ‘sit down’ and you’ll be surprised by the excellent quality of the Le Marche cuisine. Lunch and swimming: We have made arrangements with a few agriturismi in the area for you to have lunch there and also use their swimming pool. What else? All of the nearby villages and towns are worth visiting. Stroll into a bar for a cup of coffee or taste the real Italian ice cream and before you know it you will get a taste of local life as you fall into conversation with the locals.